Alice Brown is Boston Harbor Now’s Director of Water Transportation. In this role, Alice is managing a comprehensive study of passenger ferry service in the harbor and working to promote and expand water transportation options. Prior to joining the organization, Alice worked on the Go Boston 2030 citywide mobility plan. Transportation and mobility matters to everyone who commutes or travels or runs errands on a daily basis, and these everyday trips create a sense that we are all experts on transportation. For creative problem solvers, every traffic jam, transit delay, confusing intersection, or missing bike lane connection provides an opportunity to brainstorm possible solutions. But what criteria should be used to evaluate new ideas for improving transportation? What collective future of mobility are we trying to achieve? Historically, transportation modeling was designed around accommodating automotive trips and national data gathering from the US Census and the American Community survey focus primarily on journey to work data. At the largest scales, questions of capital expenditures and fare box recovery govern infrastructure and operations investments. At the smallest scales, decisions are made based on the vehicle delays and congestion at intersections. Is this the best way to measure mobility? Do these traditional tools provide the right framework for building a better mobility future? In Boston, a two and a half year planning process resulted in a multi-modal citywide mobility plan called Go Boston 2030, which was designed to answer those questions and to prioritize the projects, policies, and programs that will shape future of how people travel in the city. The process involved thousands of interactions with residents through digital and in person outreach balanced by fresh data analysis. The overarching goal of the process was to design a future transportation system for Boston that would make the city more equitable, more climate responsive, and better connected to economic opportunity. Does it improve equity? Is it addressing racial and economic disparities that too many legacies transportation systems have perpetuated? Does it minimize climate impacts? Is it improving local air quality and reducing the carbon emission levels that affect the planet as a whole? Does it expand choice? Is it providing people with multiple options for different kinds of trips at different times of day and in different weather conditions? Go Boston 2030 established a comprehensive set of goals and targets across nine themes with a particular emphasis on expanding access to multiple travel options, improving safety, and ensuring reliable travel times. These goals and the projects selected will make the overall transportation system more robust, though individuals tend to want greater efficiency and easy access to information in addition to the goals being addressed. The present contrast between the world at our fingertips on a smart phone and the constraints and limitations of our analog transportation systems heightens this tension between a digital world where we can navigate quickly, if not instantaneously, and a physical world where we are accommodating the needs of others and the distances that must be overcome. Efficiency and reliability are reasonable requests for a transportation system but are challenging to realize in rapidly growing cities and are especially hard to achieve if people expect that they will be able to drive with little congestion, few stops, and readily available parking. Meanwhile, the digital world also seems to provide us with endless sources of information, but many tools do not currently link the information we need to where we are in the physical world. Finding the information we need on signs can be particularly reassuring; even as we increasingly rely on GPS for travel directions, we use roadway signage to confirm our navigation. Incorporating real-time information into signage has been very effective, but many digital-only tools are underutilized because people are unaware of their existence. There are three particularly promising ways in which new technological solutions for transportation challenges have the potential to address equity, climate, and choice as well as the desire for efficiency and information. Today, smartphone applications like Waze show drivers when there is congestion ahead and provide alternate routes to avoid it; other apps identify the nearest bike share docking station, show the number of available bikes, and allow users to unlock a bike; and apps like Transit show the exact time of the next bus allowing people to leave their house just in time to catch it. The next generation of apps should have an expanded sense of what a multi-modal trip could entail (a bike ride to a train to a walk perhaps) and do a better job of accounting for weather, time of day, price constraints, and other factors. While smartphones have spread, not everyone has equal access to data plans and they are far from universal among older adults, so it is incredibly important this kind of information be shared in other ways. Finally, these apps are not reaching all of the users who need them; people are regularly making inconvenient travel decisions because they never thought of using an app to look at their options. The ability to pay for bus and train tickets with a single pre-paid tap card has been a major improvement for 21st century transit users. Creating a card that works across multiple platforms and transit authorities has been a significant recent advancement. The ORCA card allows for travel on bus, ferry, rail or train in the Seattle area with either a monthly pass or a stored value. The Clipper card allows users to pay fares across 27 transit agencies in the San Francisco area and offers discounted versions for seniors and students. Starting in October of 2017, the ConnectCard began allowing transit passengers to access Pittsburgh’s Healthy Ride bike share program for free to complete the last two miles of their trip. In the future, cities and their surrounding regions should continue to improve policies around fare media (how people pay for transit) in order to expand people’s ability to transfer between modes and service providers more easily, create systems that allow people without credit cards to access these cards conveniently, and ideally develop a program of subsidies that work like housing vouchers or food stamps to allow low-income residents to better access a range of transportation options and make their own transportation choices. In Boston, the MBTA will be improving their fare payment systems with the anticipated rollout of Automated Fare Collection 2.0 in 2020. The local Hubway bike share program already serves a model for addressing equity by offering very reduced-cost memberships for low income residents since it launched in 2011. This evolving technology promises to change how we get around in the future. As testing continues and policy decisions are made, it is important to remember that they will have to be shared and electric in order to lessen the climate impacts of the nation’s current vehicles. Additionally, the pricing structures must be worked out carefully in order to ensure access to transportation choice for people across the income spectrum. Also, given the density of cities that seems to foster innovation, placemaking, and diverse human interaction, there will still need to be a wide array of transportation choices available. Although a ride in an autonomous vehicle may give an individual time to work or relax, there will still be waiting involved both in mixed traffic and when a shared vehicle is on its way. All of these innovations create another layer of concerns for transportation officials at every level of government especially as they develop partnerships with the private and non-profit sectors. Everything from long term planning and policy-making to traffic signal timing adjustments can benefit from additional data, and city and state departments of transportation should leverage these tools to improve mobility when they can access the data being collected on their sidewalks and streets. Transportation related apps, whether they provide digital maps and directions, or physical cars and drivers, should be sharing their data with municipalities who can use it to improve transportation system operations. 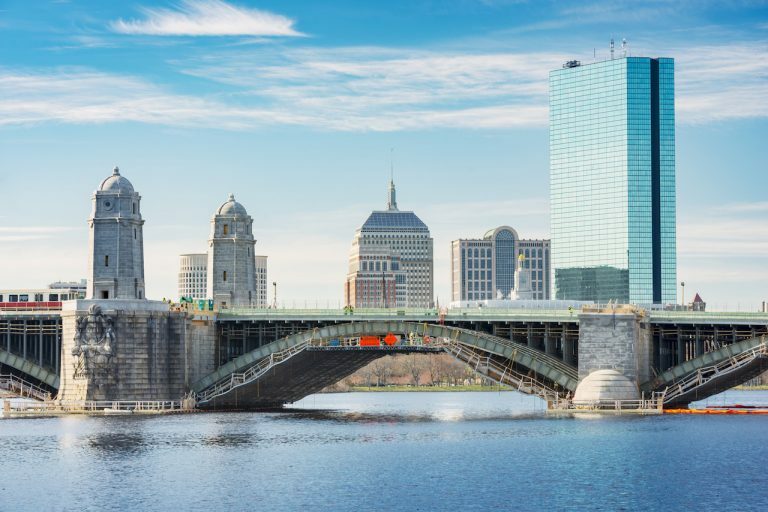 Waze formed a data sharing partnership with the City of Boston that has helped to measure the congestion impacts of pilot projects around the city and went on to forge a similar relationship with MassDOT. Zipcar and Enterprise car share also agreed to share data with the City in exchange for on-street parking spaces. Advocacy groups can also contribute data by surveying users, conducting counts, or monitoring pilots. Transportation innovations have the potential to support dense urban environments, which in turn support walkability and transit ridership and can foster innovation with job clustering. This same density can also increase congestion if individuals are travelling in separate vehicles, and there are concerns that autonomous vehicles will encourage people to live even farther apart. Policies should continue to support denser development while also ensuring that innovation is serving people in less dense areas who do not have access to a personal car. Shared, electric, autonomous vehicles in particular will require a radical rethinking about how cities and states will supplement their funding if current sources disappear. Without gas taxes, parking meters, speeding and parking tickets, and possibly vehicle registrations, there must be new revenues to supplement local construction and maintenance costs for roadways and other infrastructure. Charging for vehicle miles traveled may be one way to overcome the deficit, congestion charging may be another. As creative transportation solutions to today’s problems emerge, the need for connectivity that works across a range of incomes, multiple modal choices, and with a reduced carbon footprint should be emphasized and prioritized in our investments and implementation decisions. New types of transportation are coming. Let me share our system with you. Mobile Robotic Carrier MRC; A machine that rides on a cable similar to existing gondola systems but that is where it ends. We have developed an omnidirectional, Mobile Robotic Carrier (MRC) called Eagle System that traverses a stationary electrified single wire cable suspended between towers/poles 45 feet in the air. A gondola is attached below it, Eagle can raise and lower it to the grown (no need for platforms), Eagle turns in the air. Eagle system can be overlaid any downtown city street (no need for new land). Think of our bus system but in the air riding on one side of the pole. On the other side it a express ride, this allows you to have parking structures outside the city. People could board and zip into downtown fast and pick up the local side to reach final destination. Anyone can ride including people with disabilities. The stops consist of two parking meter spaces. We can cross parks, bridges, rivers with ease (just towers and cables to make a bridge). This is our version of a driverless transportation. 1. Eliminates all pollution from the people who ride. Pollution is cut in half on a global scale. 2. Anyone can ride. And equal access. 3. Ultralight infrastructure, rapid deployment, AC and heat, Wi-Fi setup.